2 Hours of Pro-Level Training! 2 Hours of Pro-Level Training!. By Gus G, Alex Skolnick, Joe Satriani, Glenn Proudfoot, Marty Friedman, Michael Angelo Batio, Jeff Loomis, and many others. Guitar DVD; Method/Instruction; Technique Musicianship. 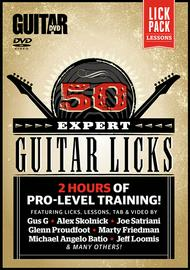 Guitar World: Lick Pack Lessons. Metal; Rock. DVD. Alfred Music #56-42320. Published by Alfred Music (AP.56-42320). Want to expand and diversify your guitar skills and repertoire? 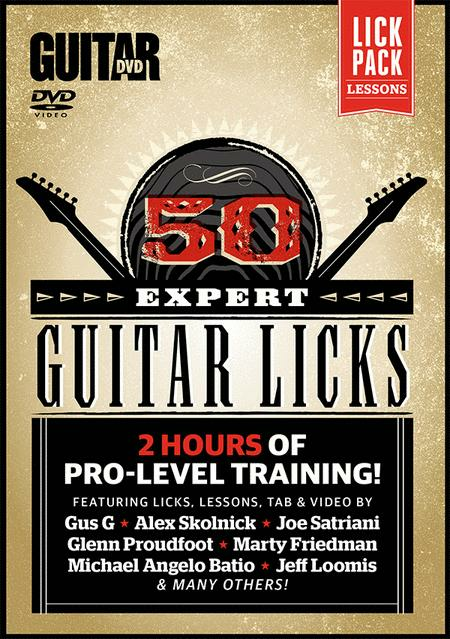 Now you can do it with great guitar phrases written and presented by some of the biggest virtuosos in rock, metal, shred, prog, fusion, and other styles, including Joe Satriani, Marty Friedman, Alex Skolnick, Gus G, and Guitar World's own resident expert, senior music editor Jimmy Brown. The most comprehensive instructional course of its kind, each lick includes TAB, a written explanation to guide you through the lick, and---best of all---video from the artist who created it.